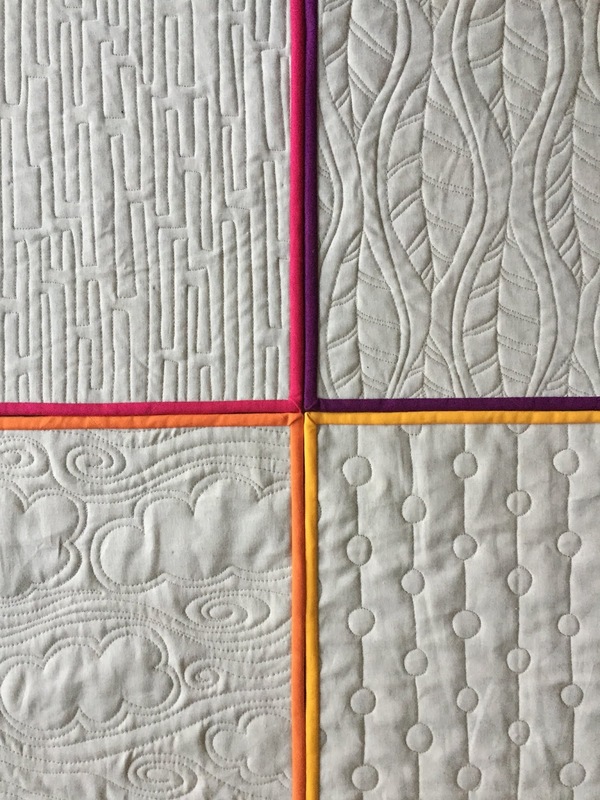 There are few things as therapeutic and fun as free motion quilting on whole cloth. 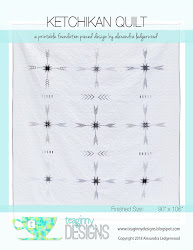 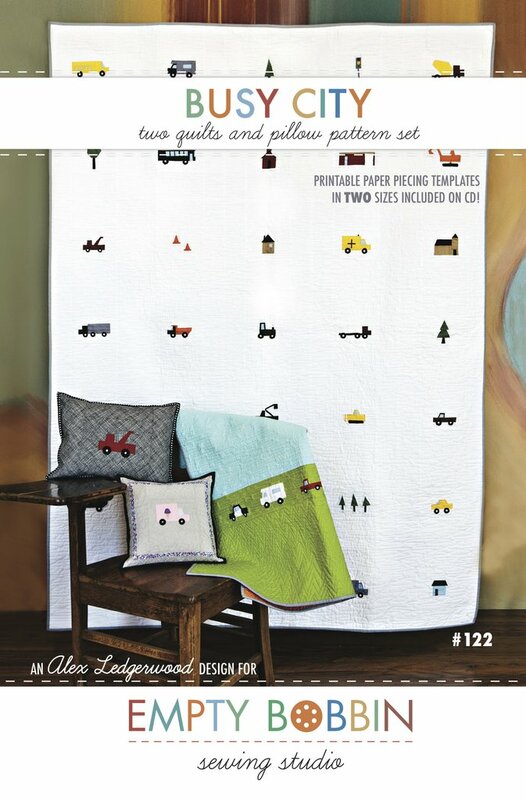 I've played with fmq on Essex linen before to create this set of placemats. 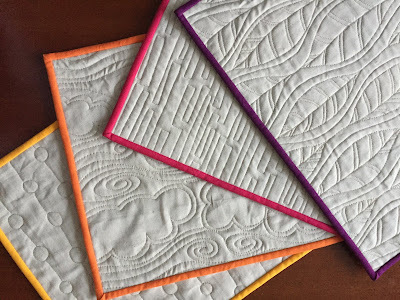 The recipient requested another four, so I got to try out four new designs and pick out another four lovely Kona solids to bind the placemats. 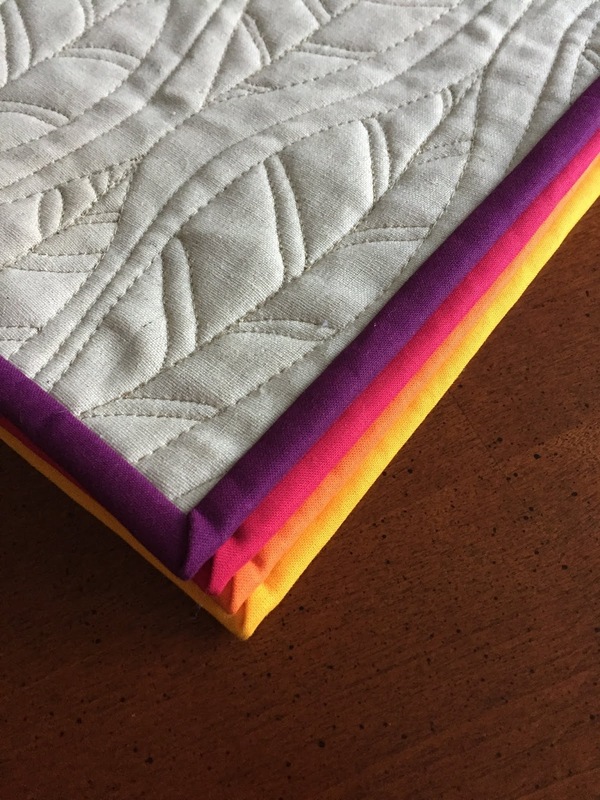 I used 40 weight Aurifil for the quilting, and I'm really happy with the results. 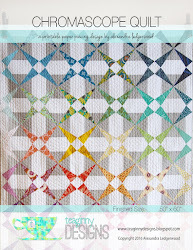 The texture of this fabric combined with quilting is irresistible. I only wish I had time to make more. 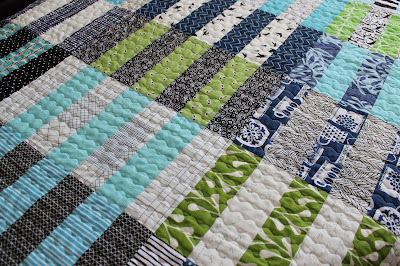 I pulled out my bin of 2 1/2 inch scrap strips to make some Rugby Stripe Blocks on a bit of whim. 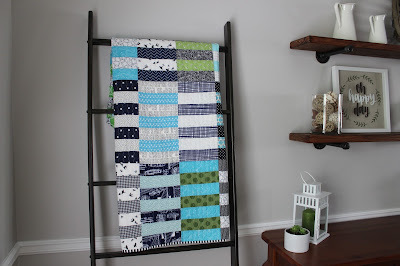 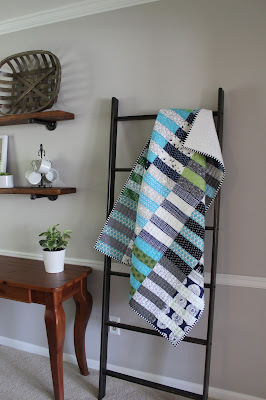 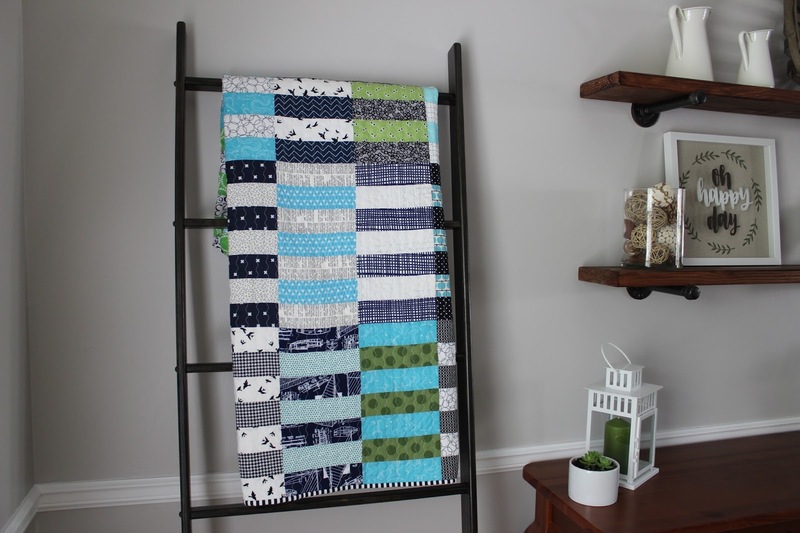 These blocks are so quick and easy to put together, before I knew it I had enough for a scrappy baby quilt. 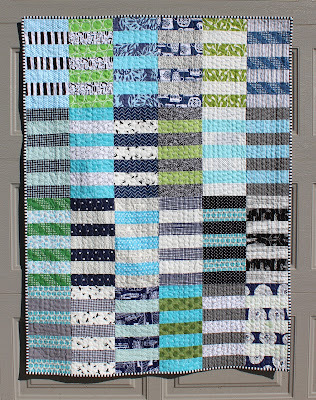 The blues, greens, and blacks make this version more masculine than the first, larger iteration of the quilt. 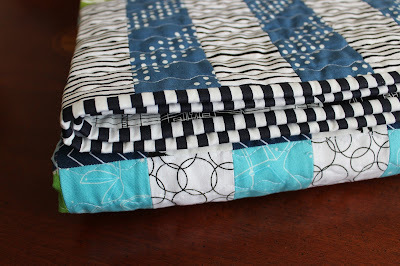 I love how fabric choice completely changes the look and feel of a quilt. I quilted it simply with my Bernina's serpentine stitch. 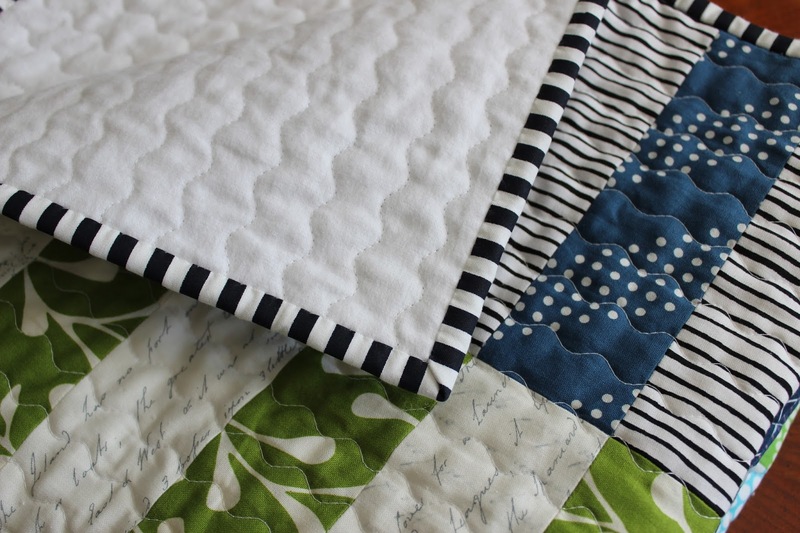 You can play with the width of the wave and the stitch length and use the side of the walking foot to gauge distance between rows of stitching. 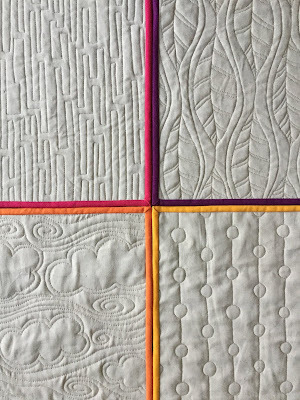 These are about an inch apart. The binding is a crisp navy and white stripe that should fit the nautical theme of my friend's nursery, and the flannel back will make this quilt a cozy on for her new little boy. 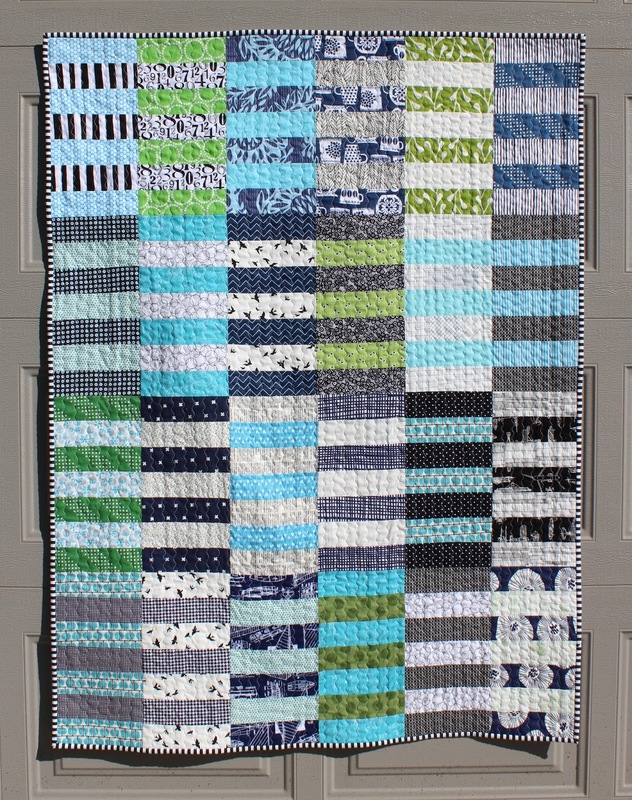 At 41 x 55 it is a nice size to serve him through his preschool years too.